Event planning and catering is all about choices. Livingston Caterers can plan your event anywhere you like—from your own backyard to a cool private party space somewhere in New Jersey. Our party planning experts have developed strong relationships with several coveted locations, and can offer depth and variety during the venue selection process. With the vision of your event in mind, we can help you select the prefect venue, or if you already have one booked, our experts can do a pre-event inspection to ensure that all elements will run as smoothly as possible the day of. From a high profile corporate event, to an enchanted wedding, or a casual gathering, we can assist you with finding the perfect location. Due to our vast event planning experience, Livingston Caterers already knows the layout of various venues and locations in our area. We can arrange the layout of the event for optimum mingling, dancing and traffic flow so that your guests can enjoy the event unhindered. Depending on the number of guests you’ll be inviting, the activities, and the type of event you are planning, we can make great suggestions for the perfect setting. 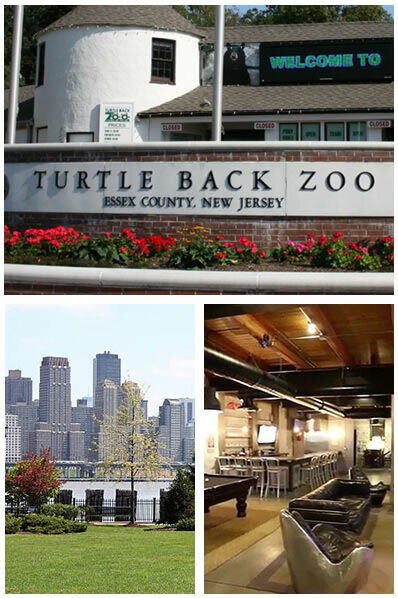 Some of the venues/locations that we have previously worked with include: The Turtle Back Zoo, The Westminster Hotel, The Loft in Montclair, and The Clubhouse. We have also coordinated many occasions at beachfronts, museums, parks/campgrounds, and places of worship.